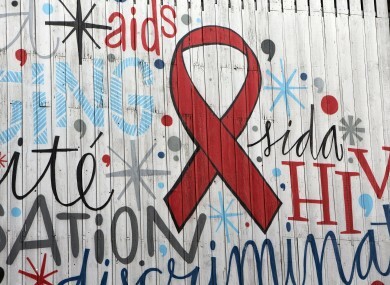 Are people in Greece giving themselves HIV to get social welfare? Media reports this morning suggest citizens desperate for money are resorting to this drastic action. THE WORLD HEALTH Organisation has issued a statement to correct an entry in one of its reports which indicated that people in Greece are intentionally infecting themselves with HIV in order to obtain extra benefits. The September 2013 document, Review of social determinants and the health divide in the WHO European Region, made reference to rising HIV rates and heroin use in the country. It erroneously stated that “about half of new HIV infections being self-inflicted to enable people to receive benefits of €700 per month and faster admission on to drug substitution programmes”. According to WHO’s latest statement, the sentence should have read: “half of the new HIV cases are self-injecting and out of them few are deliberately inflicting the virus”. The source for the statement is a correspondence published in the Lancet by Alexander Kentikelenis and colleagues in September 2011. In this article, Kentikelenis mentions ‘accounts of deliberate self-infection by a few individuals to obtain access to benefits of €700 per month and faster admission onto drug substitution programmes’, based on the report of the ‘Ad hoc expert group of the Greek focal point on the outbreak of HIV/AIDS in 2011′ (Greek Documentation and Monitoring Centre for Drug, 2011). NEWS REPORTS THIS morning have suggested that people in Greece are deliberately infecting themselves with HIV in order to secure extra social welfare payments. The headline was first used by FoxBusiness and picked up by many other outlets across the world, including Ireland. Fox says that a recent World Health Organisation report paints the “alarming picture” of citizens so desperate for €700 in government benefits that they will infect themselves with the virus. The September 2013 report looks at inequities in health across the European region and notes that the 2008 economic crisis exacerbated social inequalities. The body said that such inequities in health are now “widespread, persistent, unnecessary and unjust”. The paper cites an October 2011 report from the Lancet, which in turn, cites a study by the University Mental Health Research Institute from the same year. That research lists possible causes for an increasing incidence of HIV in injecting drug users. Of that list of eight factors, scientists note the “well-founded suspicion” that some problem users are intentionally infected with HIV because of the benefit they are entitled to (€1,400 every two months). There is also quicker access to a drug substitution problem which usually has a long waiting list. The WHO said immediate action is needed on the social determinants of health which have been adversely affected by the financial crisis. It mentions the dramatic rise in suicide rates, as well as the doubling of homicides and thefts. Prostitution has also risen, probably a response to economic hardship, it says. These adverse trends in Greece pose a warning to other countries undergoing significant fiscal austerity, including Ireland, Spain and Italy, according to the WHO. It also suggests that ways need to be found for cash-strapped governments to consolidate finances without undermining much-needed investments in health. Email “Are people in Greece giving themselves HIV to get social welfare?”. Feedback on “Are people in Greece giving themselves HIV to get social welfare?”.